Looking For Industrial Deionized Water Treatment? At Culligan Texas, we have over 200 years of combined experience providing cost-effective industrial deionized water treatment solutions. Why Should You Consider Service Deionization With Culligan? 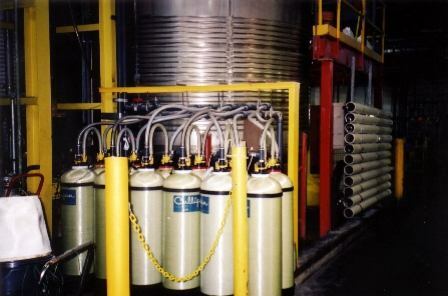 Service Deionization, also referred to as “Portable Exchange Deionization,” uses tanks containing deionization resin plumbed into your process with flexible connectors and exchanged upon exhaustion by tanks regenerated at a Culligan Service Center. No chemicals or hazardous waste. No frequent OSHA-required hazardous chemical training, no diking or other special containment, no waste treatment. No maintenance costs. Culligan exchanges exhausted tanks as required. No capital investment. You pay per tank exchange or per 1000 gallons of demineralized water consumed – your choice. Flexibility to meet varying flow requirements and water quality. Flows from 0.5 gpm to 500 gpm and quality from 50,000 ohm-cm to 18,000,000 ohm-cm. With over 200 years of combined industry experience, fair prices, and a 90-day service guarantee, you can be confident that we provide exceptional products, service and follow-up. 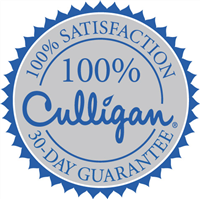 All Culligan Texas service is backed with a 100% Satisfaction Guarantee. If you don’t receive the service and quality we promise, simply let us know within 90-days and we’ll make it right or refund your service call.